I purchased the Bumbo chair for my baby Madison and I would have to say I was pleasantly surprised by the quality of this product. I am a hairstylist so while I work on a client I will put my baby in the Bumbo chair and she seems very happy and will play while I work which can be anywhere from a half hour or more. I would have to say that this is one of the best investments I have made and I highly recommend the Bumbo for any parent looking to place their baby in a safe and secure chair. 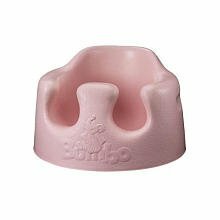 I even spoke to my pediatrician and she also recommended this product highly as a matter of fact she said she uses the Bumbo chair for her baby, so I felt very confident in my purchase. At first glance I thought it was going to be hard plastic, but the Bumbo chair was actually soft and flexible, it also helps with your babies posture and allows your baby to see what’s going on around them. I highly recommend the Bumbo chair and I would have to say that it is definitely worth the price. You can get a Bumbo chair for about $40, but if you find it for a better price please feel free to post it in the comments section below. 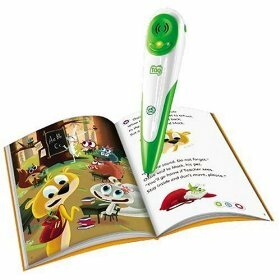 Leap Frog Tag reading system a Kids Learning Toy. Attention if you are buying the LeapFrog Tag reading system for your kid/s as a gift I recommend setting it up before giving it to them, because the setup process can be lengthy. I bought this for my 3 year old as a Christmas present and I am glad I set it up before hand. The setup process is fairly easy, but it does take about 30-40 minutes depending on how many books you have to download. Download the LeapFrog Connect Software. Power on the Tag then plug it in to your computer using the cable that came with the system. Load the books you have on the device and its ready to go. Don’t forget to eject the device before unplugging it from your computer. Overall I think the setup process was pretty easy. After the setup process was complete I played with the Tag for about 10-15 minutes and I think it will be a great learning tool for my daughter, but I will update this article once my daughter actually plays with it. Minor Problems I encountered when setting up the Tag reading system up. I tried to download the LeapFrog Connect Application for Mac from the Firefox browser and it did not work, so I tried to download the LeapFrog Connect Application Mac version using Safari and it worked just fine. I wonder if anyone else has had the same problem with downloading the application from the FireFox browser? Please feel free to share any information about the LeapFrog Tag Reading system below or if you have a question please fell free to post it below and I will respond within 24 hours.